Foods with strong aroma appear to have the potential to help lose weight. In fact, two studies describe two different ways of using aroma to achieve that goal. Above all, people naturally eat smaller bites of food that isn’t very tasty or food that is not familiar. Therefore, we associate smaller bites with food having low flavor or taste. In addition, research shows that people take smaller bites when food aroma is strong. Indeed, our unconscious self-regulating mind tells us that because the food has strong aroma, it must be rich with calories. As a consequence, we take smaller bites. In addition, the self-regulating mind subconsciously tells us to take fewer number of bites to feel satiated. As a result, we eat less which, in turn, helps with our weight. On the other hand, when food has very little or no aroma, our unconscious self-regulating mind tells us the food doesn’t have too many calories. As a consequence, we take bigger bites. 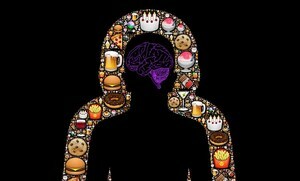 In addition, our subconscious mind tells us that since the food likely doesn’t have too many calories, it’s OK to take many bites. As a result, we likely eat more, which, in turn, causes us to put on weight. In fact, a similar effect occurs with taste. For example, we eat small amounts with each “bite” of a very salty soup. And likely we won’t take too many such “bites” of the soup. On the other hand, if the soup isn’t salty, we eat larger amounts of the soup with each “bite”. And likely we take too many “bites” of the soup. Incidentally, the “bite” size reduction with salty soup is about 5%. Similarly, the “bite” size is reduced by about 5% for foods with aroma. Indeed, the key here is self-regulation. That you are consciously trying to not overeat. A similar thing happens, when you have a mouth-watering aromatic chocolate cake in front of you. No doubt, you would want to eat the biggest piece of mouth-watering cake. However, your self-regulating mind causes you to take a smaller piece. Then, eat that by further taking small bites while reducing the number of bites. Or, if you have a low aromatic salad, you associate the low aromatic salad with fewer calories. Consequently, you not only take bigger bites of the salad but you take more of them. On the other hand, this method does not work for someone whose eating habits are not self-regulated. 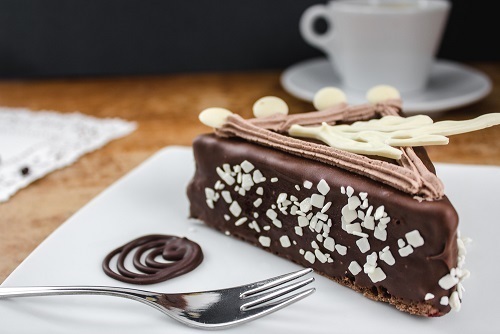 In fact, you may be just the kind of a person, who, if they see a chocolate cake in front of you, you may eat not one slice, but even two or three slices. 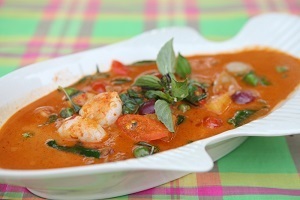 And if you have some very tasty and mouth-watering aromatic foods, you are tempted to take bigger bites and more of them. In conclusion, the method works for anyone who has a self-regulating mind when it comes to food. Meanwhile, a new study reports that breathing the strong aroma of indulging high-calorie foods for more than two minutes satisfies your taste buds and your stomach. And, this reduces the temptation to eat the high calorie indulging food. So, the next time you come across the strong aroma of indulging food, wait for two minutes or more before deciding on taking a bite. Or if the strong aroma of indulging food doesn’t reach your nostrils, carry a nebulizer with you. And, take a whiff with a nebulizer that gives off the scent of strong aroma indulging food. After waiting for two or more minutes, your desire for the indulging food may disappear. On the other hand, since non-indulging foods don’t give off as much aroma, they do not affect our rewards system so much. As a result they have less influence on what we eat. In fact, studies done at a school cafeteria and a supermarket demonstrated these effects. In the study, participants were exposed to the aroma of indulging cookies for more than two minutes as well as lack of aroma from the non-indulging strawberries. As a result the purchases of cookies were lower than the purchases of strawberries. Indeed, the prolonged exposure to the indulging cookies induced pleasure in the brain’s reward system resulting in a diminished desire for the actual eating of the indulging cookies. On the other hand, when exposure to the aroma of indulging cookies was less than 30 seconds, more cookies were purchased than the strawberries. So, next time you come across strong aromatic indulging foods, soak the aroma for two or more minutes before deciding on eating the indulging food. Above all, olfactory fatigue is the common experience of losing sensitivity to smells after prolonged exposure. In fact, your body adapts to the smell. As a consequence, the effects of the smell weakens over time. And, eventually you won’t be able to recognize the smell. After prolonged exposure, olfactory fatigue allows your body to adapt to the smell so as not to overload your nervous system. For example, smelling a cookie activates smells cells, located at the end of your nasal passage. As a result, the smell cells send chemical messages to the brain. And the brain interprets these messages before relaying them to the mouth. Indeed, this entire process is known as the olfactory referral. Moreover, the olfactory referral happens with each breath exposing us to the smell. And, our bodies adapt to the smell with continued stimulation. As a consequence the effect of the smell weakens. In fact, our brains are programmed to tell us when smell changes. And not to tell us when things smell the same as they did a few minutes ago. First of all, retronasal olfaction refers to acquiring smell related information through the back of the mouth. And, orthonasal olfaction refers to acquiring smell related information through the nostrils. In fact, both methods influence flavor. For example, food aroma such as vanilla causes something perceived as sweet, to taste sweeter. And, once you experience the smell of food along with its flavor, the two become associated; thus, smell influences taste and taste influences smell. So when you smell food aroma for two or more minutes, you get the effect of having tasted it. And having tasted it satiates you. So the desire to actually eat it lessens.